Adding to Jennifer R.'s comment - Smart FLers understand and have no qualms about issuing a Take Down order. Lloyd are you fishing for information to write the definitive ebook on Upwork? This is actually an encouraging interpretation. As soon as Petra pointed out that he was posting from a client account, I figured he was fishing for information about how he could get content written and avoid paying for it. That is great that you think that. However, your logic is a bit flawed. Yes I am a client now, but I have hired 17 jobs so far so I am no random dude that is fishing, and I see no reason risk losing this account over some malicious intentions. I was just asking a question, one of the whole points of a forum right. I kind of feel like there is some Kudos farming going on, I hope I am wrong on that. Anyway, just made a freelancer acccount, and I plan to eventually use it here. By the way, you CAN have two accounts with the same login just to address an earlier comment. It's part of the platform. I will probably make this my last reply to this thread, since the question was answered. @Petra, you also helped answer my question, thanks. 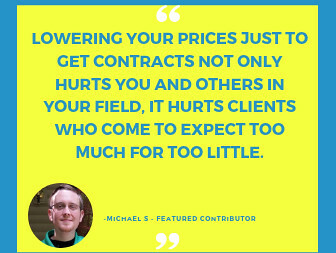 Are there any protections on upwork for repeat chargeback offenders? There is no such thing as a "repeat chargeback offender." Clients who chargeback are suspended. Chargebacks are a ToS violation. And it would be "protection from" not "protection for" unless you want to protect the offenders themselves. I think he wants to know if there is some kind of protection for freelancer from clients that keep requesting refunds not chargebacks. Are clients monitored so that it is noticeable when a client repeatedly requests a refund from different freelancers? 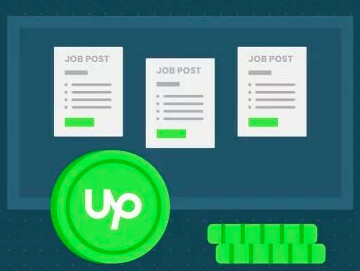 I would have thought that anything that loses money for Upwork would be checked. 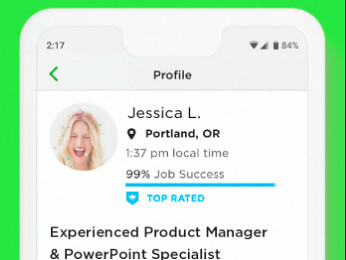 Upwork claims the "talent specialists" make them money. But then, their baseline of comparison is their automated matching algorithms, so it could well be true. Yes...the talent specialists get it right 1/10 of 1% of the time, whereas the algorithms only get 1 in 5,000.